An invaluable resource for sewers of all abilities, this guide offers practical help with all of the essential hand and machine sewing techniques, from stitches and fastenings to fabrics and seams. Beginners will find instruction in basic skills, guided by clear photographs and diagrams. Advanced sewers will find new applications for their sewing skills. 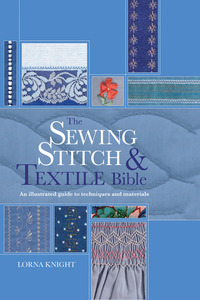 A comprehensive Stitch Directory features functional and decorative stitches created by hand, sewing machine, and serger. A textile Directory provides information on working with over 70 fabrics from delicate chiffon and lace to heavy duty denim, and tips on suitable stitches and applications.